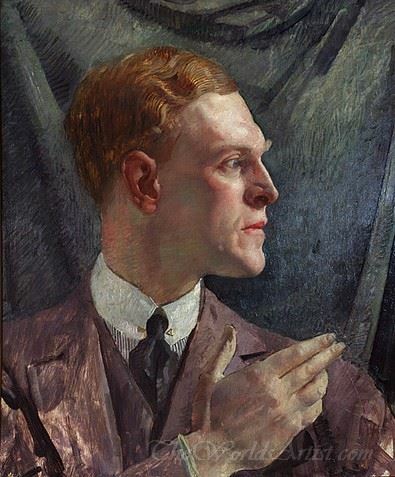 Portrait Of A Young Man by George Washington Lambert. Portrait Of A Young Man by George Washington Lambert oil painting reproduction done at The Worlds Artist are 100% hand-painted, by expert artists. To paint Portrait Of A Young Man we begin with a blank artist canvas and draw the outlines of what we will paint in charcoal, then we start to paint it, we use an artist palette, different paint brushes, quality oil paints and a mahl stick to steady the hand. They painted it that way, and we likewise paint it that way. Since oil paint needs time to dry in certain areas before continuing or before adding more paint layers, we can not rush this procedure, thus it takes about three to four weeks to complete by hand, depending on the complexity.